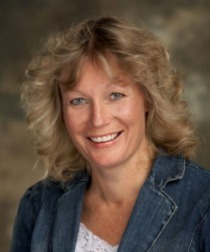 Kim has been selling real estate in North Idaho for over 15 years. She started her real estate career listing and selling foreclosures/bank repo's for a major bank and now specializes in residential real estate as well as waterfront real estate. She loves meeting new people and helping them find what they are looking for, be it a small first home, acreage or a luxury home on the lake. Kim firmly believes in being your real estate consultant for life, as most of the people she works with are now more than clients, they are friends. Prior to her real estate career Kim worked for thirteen years as a civilian employee for the Los Angeles City Fire Department then the Los Angeles Police Department. This experience taught Kim the importance of trust and respect which reflects in her professional relationships. She has helped numerous families relocate to the Coeur d'Alene area. Kim has been married to the most wonderful husband, Pat for the past 23 years. They have two children in college as well as two dog's (Tater & Penny). Kim also has two adult children and two grandchildren. She enjoys most outdoor activities and can be found on the ski slopes or her snowmobile in the winter and camping or boating in the summer. Her dog's enjoy taking her on runs several times a week. Kim also enjoys volunteering at her church and grand childrens school.